The horse knows the way to carry the sleigh--so hop in, hold tight, and join the journey in this dazzling holiday classic! In this stunning paper-over-board picture book, a blustering wind stings the toes and bites the nose, but hearts are warm and there's lots to eat--for 'tis Thanksgiving Day! Bundle up as you navigate a winter wonderland of sparkling snow-covered trees and adorable woodland creatures in this cherished holiday tale. 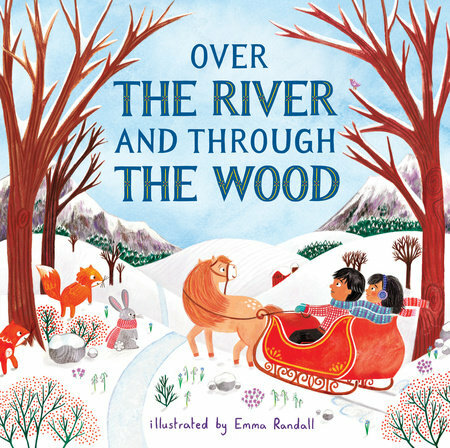 Coupled with Emma Randall's delightful illustrations, the familiar poem-turned-song is the perfect way to celebrate the season. Just remember to leave room for pumpkin pie!